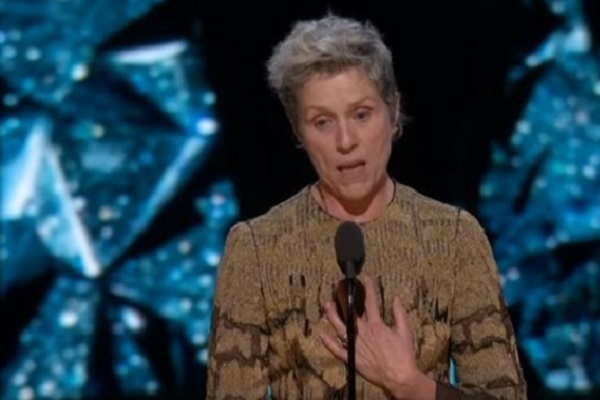 Neil Gaiman, the executive producer of Good Omens, the upcoming Amazon drama series, has confirmed that Frances McDormand will voice God in the to-be-broadcast episodes. The announcement was made by Gaiman on July 27 during a San Diego Comic Con panel moderated by Debra Birnbaum, the executive editor of Variety magazine. The series is based on the book of the same name co-authored by Gaiman and the late Terry Pratchett, a British author of repute. In the book, Michael Sheen plays an angel and David Tennant plays a demon. Both live on earth awaiting the apocalypse. The two have become friends and enjoy their earthly lives among the humans. They do not want the world to end and are doing their best to keep it from being destroyed. The series is expected to get its first eyeballs in the earlier part of 2019. Amazon has not announced a specific release date. For McDormand, this kind of service is nothing new. The accomplished actor, who won the Oscar twice, will not take the role of Sir Derek Jacobi in the series. She was selected to be the voice of Metatron in the satirical 1990 series written by Terry Pratchett and Gaiman. Other than the series narrator, she will be vocally present as the Almighty in Good Omens at a particular garden. In the series, Metatron was the voice of God, but not God's voice. She plays a role similar to a presidential spokesperson. The comedy with a bit of drama thrown into the mix has Jon Hamm playing the role of Archangel Gabriel and David Tennant plays a demon who looks and acts like a rock star. Michael Sheen plays the angel Aziraphale. Gaiman was instrumental in getting the shows up-to-speed. He and Terry Pratchett worked together multiple decades back. After Pratchett died, Gaiman was hard pressed to return to the characters they wrote together. He said that he desperately missed his writing partner. For those interested, Amazon has just released a behind-the-scenes look of the series. They just showed the Good Omens trailer at the #SDCC Amazon panel. I was excited about it before, but even more excited now!! Gaiman was clear from the start that he believed God to be a woman. According to him, he was searching for an American actress to play the role when McDormand emailed him to ask whether she could borrow his house in Scotland.